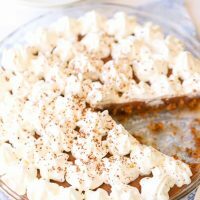 Easy chocolate pudding pie with a graham cracker crust is a great make ahead dessert. Make this Gluten Free pie with gluten free graham crackers which is an easy switch. Chocolate pudding pie is an easy make ahead dessert that takes a few simple steps where planning ahead pays off. Sometimes simple desserts are just what you need to end a meal—nothing fussy, just yummy homemade chocolate pudding with some freshly whipped cream topped with even more chocolate could be grated on top. 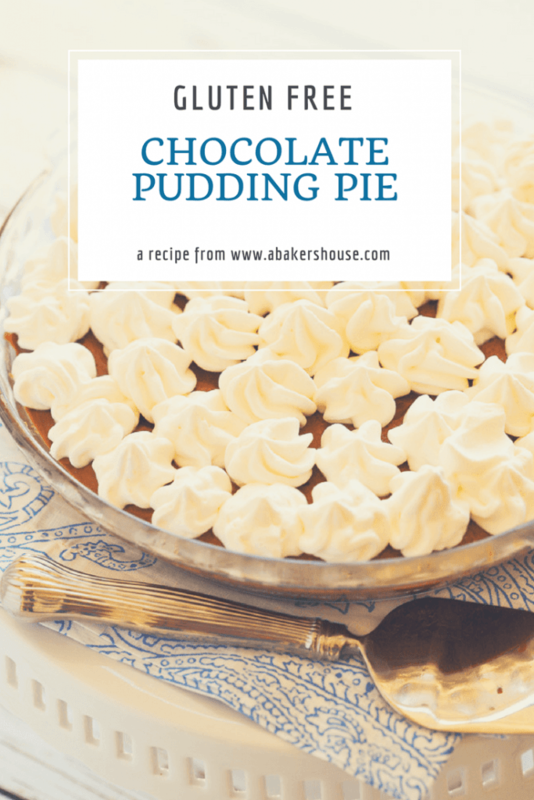 How do you make a chocolate pudding pie? Next, make the filling. This recipe makes a chocolate pudding filling from scratch although you could take a short cut with instant pudding. Let the pie set up in the refrigerator then top with freshly whipped cream. Can you make a gluten free chocolate pudding pie? Yes! You can easily make the crust gluten free while the filling is naturally gluten free. Make this chocolate pudding pie gluten free by choosing a gluten free graham cracker– I bake with Pamela’s gluten free Graham Style Crackers which come in cinnamon, honey, or chocolate. And be a detective when it comes to labels on items that you might assume are gluten free (especially the chocolate in this case) and make sure that you are using certified gluten free ingredients. Pie Memories: Why make a homemade pudding pie? First and foremost, it is delicious. 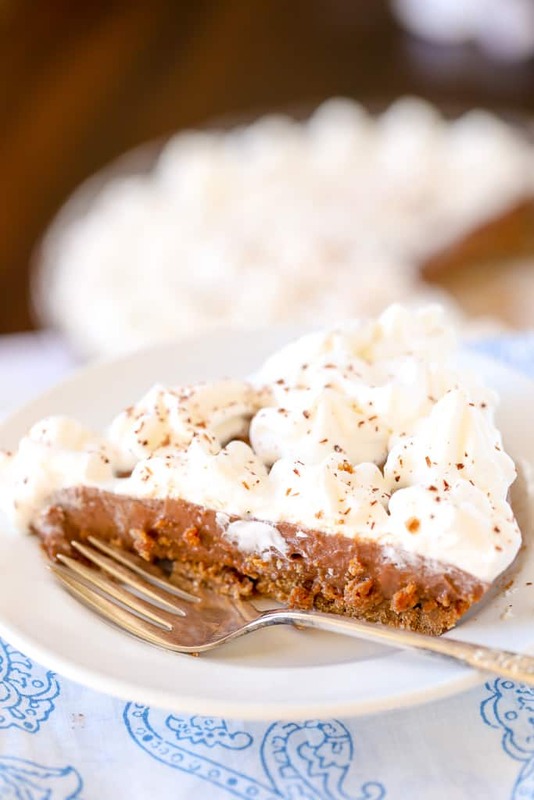 Second, this pie takes me back to the dessert my grandmother often made for family gatherings—a prepared graham cracker crust filled with Jell-o chocolate pudding made a cool whip pudding pie that put smiles on our faces. There’s no shame in making the short cut version! I’ve been known to eat leftovers for breakfast just to be the first to get that last piece of pie. 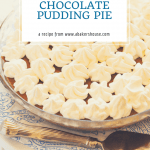 Another plus for this chocolate pudding pie is that it’s great to share with company because you can make the crust and filling ahead of time then whip the cream right before serving. How to Make Chocolate Pudding from Scratch: You can do it! Making a chocolate pudding pie from scratch is not a tough assignment. The crust comes together easily with graham crackers and butter; the topping is freshly whipped cream. The pudding does take patience and a steady whisk to create a smooth texture but it is well worth the effort. 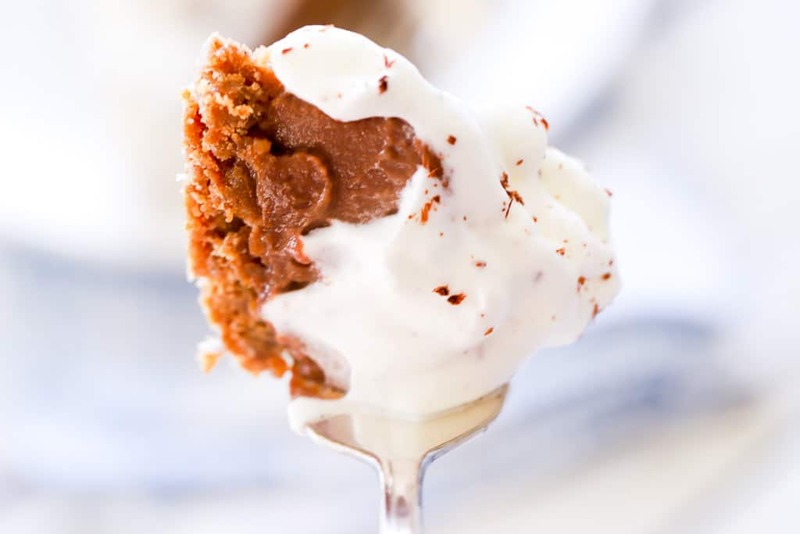 Get ready for a messy bite and savor the crunch of the graham cracker base, the creamy chocolate pudding filling and the fluffy whipped topping. This is one tasty creation. Still looking for a quicker way to have this easy pudding pie on your table? I hear you! Recently I made this pie for Christmas dinner and, of course, didn’t have a minute to spare on that busy day. To cut corners start with a store-bought graham cracker crust. A gluten free graham cracker crust is the fastest way to make this pie a gluten free dessert. Click here to see this Mi-Del Gluten free Chocolate Graham Cracker Crust on Amazon. To use instant pudding for the filling, follow the directions on the box to mix the instant Jell-o pudding mix with milk. Pour the filling into the graham cracker crust and chill in the refrigerator. 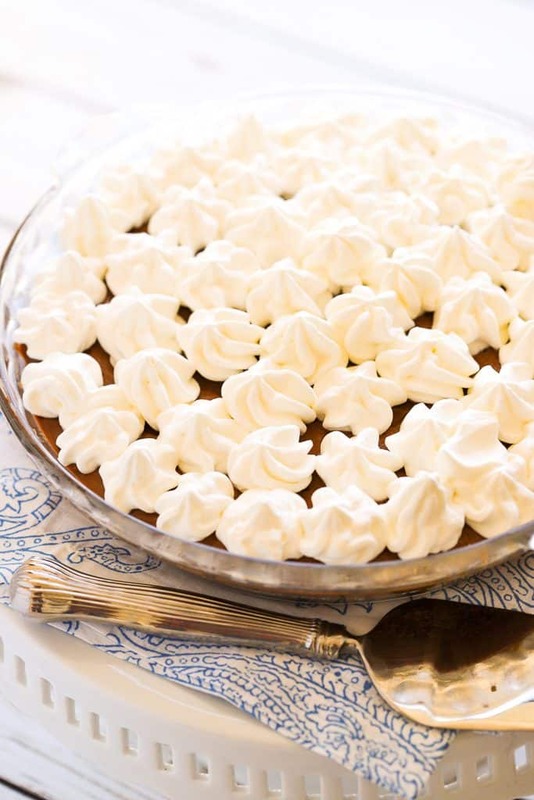 Please do me a small favor and top with freshly whipped cream…but if you must go ahead and use cool whip in a pinch! What toppings can be added to this easy pudding pie? Use a vegetable peeler to “peel” chocolate curls off of a bar of chocolate. These make lovely toppings! How can I add a healthy twist to this pie? Here’s a version that might catch your attention– make your pudding layer a healthier one with this recipe for Chocolate Avocado Pudding. It’s certainly a different twist but you’ll be surprised how the flavor is nearly all chocolate and less so avocado. Plan ahead to make this pie the day before you'd like to serve it. The chocolate pudding needs time to set. Well worth the effort! Start with the crust: Preheat oven to 350 F. Grease the pie plate with butter. Use a food processor to combine all of the ingredients for the crust. Press the crumb mixture onto the bottom and sides of a pie dish. Press firmly with your fingers or with a greased glass, starting in the middle and working your way out to the sides of the dish. Refrigerate for 30 minutes then cook in a 350 degree oven for 15 minutes. Let cool. Meanwhile move on to the filling: Use a saucepan to melt the chocolate with the milk, whisking as the chocolate melts. In a separate heatproof bowl combine the sugar, cornstarch and salt. Ladle one cup of the milk chocolate mixture into the dry ingredients and whisk until smooth. Keep your whisk going as you pour the mixture back into the saucepan. Continue to cook for 5 minutes. The mixture will come to a boil (keep whisking) then it will thicken (yes, keep whisking!). Now we move onto the eggs. Whisk the egg yolks in a small bowl. Temper the eggs by slowly adding a small amount (1/2 cup would do) of the hot chocolate mixture into the egg yolks while you whisk. Then add the eggs back into the saucepan and continue whisking for a few minutes until the custard thickens. Remove from the heat and whisk in the vanilla. Cool the pudding and –guess what—WHISK again! 2 or 3 times in the next 10 minutes. Is your arm tired yet? Whisking is harder than it looks! Slowly pour the chocolate custard into the cooled crust. Place a piece of plastic wrap directly onto the pudding. Cool for 4 hours or overnight in the refrigerator. The topping is simple: whip the heavy cream with a mixer (give your whisking arm a break) until you have soft peaks; add the confectioners’ sugar and continue to whisk until stiff peaks form. Spread this cream over the set pudding. Sprinkle with more chocolate if you wish. I like to use a microplane (grater) to grate chocolate over top of the pie. Note that the majority of the prep time is a minimum of 4 hours in the refrigerator or, even better, overnight. The chocolate pudding recipe ingredients come from a Martha Stewart recipe on page 17 of her cookbook, Martha Stewart's Pies and Tarts. 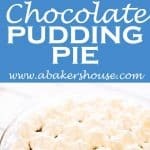 Here is a link to a similar Martha Stewart milk chocolate pudding pie. Looking for more pies? Here is a recipe for a Cherry Pie with a Whole Wheat Crust. A Gluten Free Pumpkin Pie sounds good too! Or if it is the time of year to celebrate Pi Day (March 14th), check out these fun Pi Day Cookies. Join me on Pinterest and save this recipe for later! Here are more chocolate recipes to indulge in! This post was originally shared on September 17, 2012 and was updated in February 2018. My grandmother used to treat all of her grandchildren to a chocolate meringue pie that we would devour. Secretly I preferred cream over meringue but we’ll just keep that between the two of us. Chocolate pie is still one of my absolute favorites. There is just something special about food from a grandmother, isn’t there! 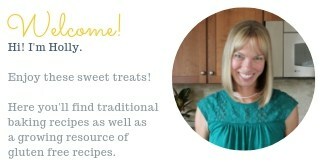 Thanks for telling me about your meringue pie; I’d go for anything chocolate! yum! I love chocolate pudding. I finally made my own chocolate pudding not too long ago. Still need to get it up on the blog… I could not believe how easy it was! And, it tasted so much better than the powder. Don’t know what took me so long to make it. I’ll look forward to reading about your chocolate pudding. I agree, other than a whole lot of whisking, making pudding is quite easy and it tastes SO much better than the version out of a box. Thanks for stopping by! So happy you liked it and I just spotted your pin on Pinterest– thanks! My mother had several restaurants in her life time. She was well known for her pies. She would make a chocolate cream, coconut cream, pineapple cream, and a banana cream at times.Always made her own pie crust too. Used a whipped topping that came in a quart size container best I recall. Oh my, it was so good. No instant pudding for her. HA!! Pie bakers are good people! I am sure your mother made many people smile with her delicious pies. Such nice memories! Pineapple cream is a new one for me.